A look at the map of the regions covered by the Belt and Road (B&R) initiative shows it will extend across Asia, Europe, Africa and the Middle-East. Officially, it will snake across four continents but another corner of the world is keen to get in on the action. Latin America had two presidents present at the Belt and Road Forum for International Cooperation in Beijing - Michelle Bachelet of Chile and Mauricio Macri of Argentina - while other countries sent low-level delegations. Chile and Bolivia also formally joined the Asian Infrastructure Investment Bank (AIIB) last month. At first glance, it seems logical that Latin America is not playing a more prominent role in the B&R initiative, given that the plan essentially traces the route of the ancient Silk Road. But the B&R could come to see Latin America as a more vital component. China's presence through trade and infrastructure in the region means that the framework of collaboration is already in place for the B&R to have a smooth transition to the Southern Hemisphere. The region finds itself in an odd diplomatic limbo. 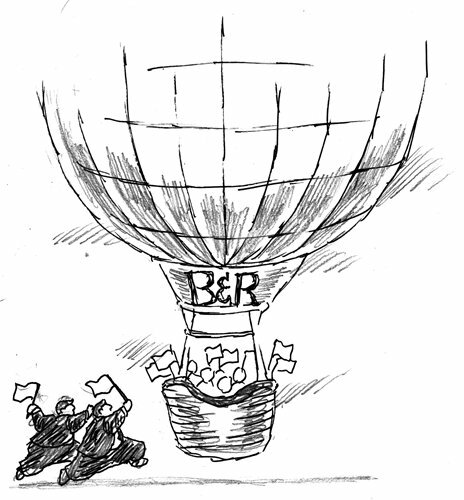 It is clear that Beijing intends for the B&R not to be bound by any borders. An initiative such as this must depend on global outreach to succeed. Jin Liqun, the AIIB president, pointed directly to this spread of Chinese engagement in Latin America when meeting with Bachelet, saying that "better infrastructure across Asia will allow Chilean goods to access new markets; more investment in Chilean infrastructure in turn will further bind together the two great continents of Asia and Latin America." The reality is, however, that China's relationship with Latin American partners is a prosperous but still uncertain one. With Europe, two centers of global economic power both compete and cooperate. With Africa, a far closer partnership has emerged, which some view as necessary to help Africa grow and others fear as a return to the past. Latin American countries have neither the clout nor the desire to compete with China, nor the wealth to be priority markets. Nor do they have geographical proximity. In a way, this is liberating. The likes of Brazil and Uruguay are well aware that their agricultural exports are precious to China. Chile and Peru have largely been content to let their copper and gold head across the Pacific. In a decade when the US has not been particularly concerned about its southerly neighbors, economic ties to China have been a blessing for Latin America. Chinese cars ply the streets of Quito, and Chinese engineers build hydropower dams in remote parts of Argentina. But the stakes are changing. Wary of a middle-income trap and seeing the catastrophe enveloping Venezuela, a country too dependent on oil revenues, Latin America wants more. Copper exports are not enough for Bachelet. She went to China, determined to find a partner to build a sub-marine fiber optic cable from the Asian giant to the shores of her own country. Late May saw a mega-tourism conference held by the four Pacific Alliance countries of Chile, Colombia, Mexico and Peru. One of their stated aims is to coordinate efforts to bring Chinese tourists in their droves to visit all four members. From January to April 2017, almost 11,000 Chinese tourists visited Chile, up 50 percent on the same period in 2016, but still puny compared to the millions of Chinese now traveling abroad. Mexico might seem to be in a different state, given its troubles with the US, still a mainstay of its economic needs. Chinese automakers JAC and BAIC have begun assembling cars in Mexico since US President Donald Trump came to power. CNOOC has won bids in oil and gas auctions to explore deepwater blocks in the Gulf of Mexico. This could see Beijing subvert a traditional manufacturing rival into a partner like Brazil or Argentina. But not so fast. Mexico is a very experienced trade negotiator, with 45 free-trade agreements. It also hates to stand alone, as evidenced by its membership of NAFTA, the Pacific Alliance and the now likely defunct Trans-Pacific Partnership. The region wants a place at the table but not at any cost. The B&R initiative, which by its very nature will be a platform, is likely the best chance yet for China and Latin America to be on the same page for the foreseeable future.